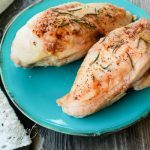 This Easy Roasted Rosemary Chicken Breast is one of my favorite meals to prepare for Meal Planning Monday’s. 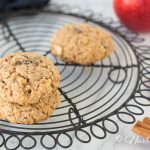 With school back into the swing of things and homework smuggling my time away from the kitchen, I opt for easy and efficient meals. This is my cook once, eat twice…in this case, eat three times recipe! 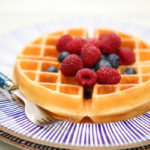 Below, you will find a printable grocery shopping list with recipes. 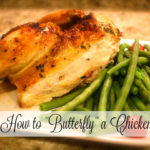 I am using bone-in chicken breasts because they are budget friendly, cook evenly and come out oh so very juicy! At the same time, I roast sweet potatoes and Fantastic Roasted Vegetables. I make enough food to last 3 meals. 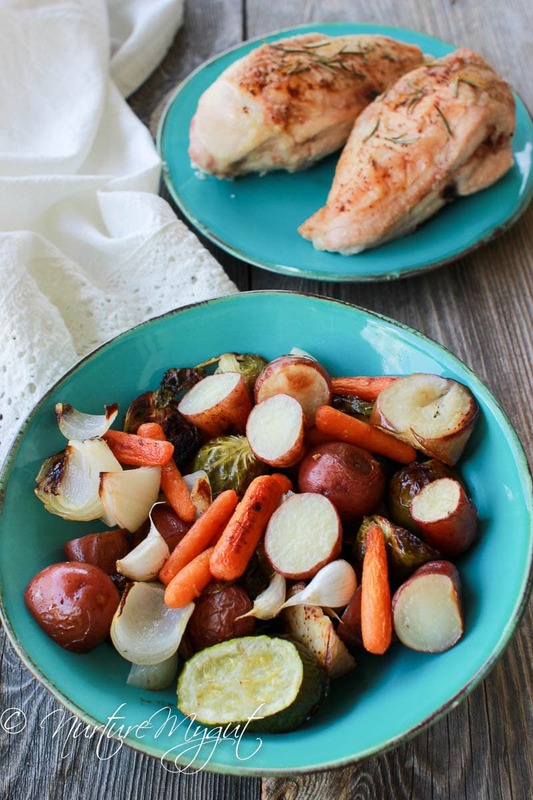 Please note that the chicken and vegetables take the same amount of time to cook while the sweet potatoes will take about 60 minutes for medium sized sweet potatoes to 80 minutes for very large sweet potatoes. 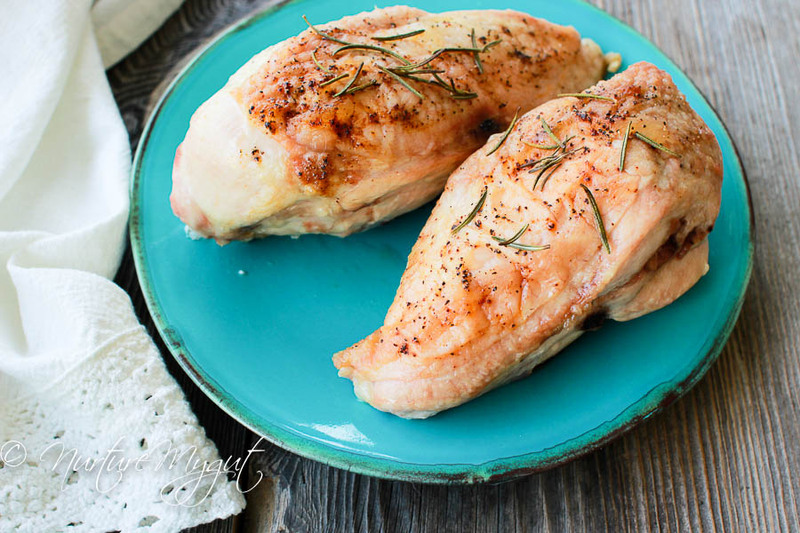 This Easy Roasted Rosemary Chicken recipe is pretty fool proof! 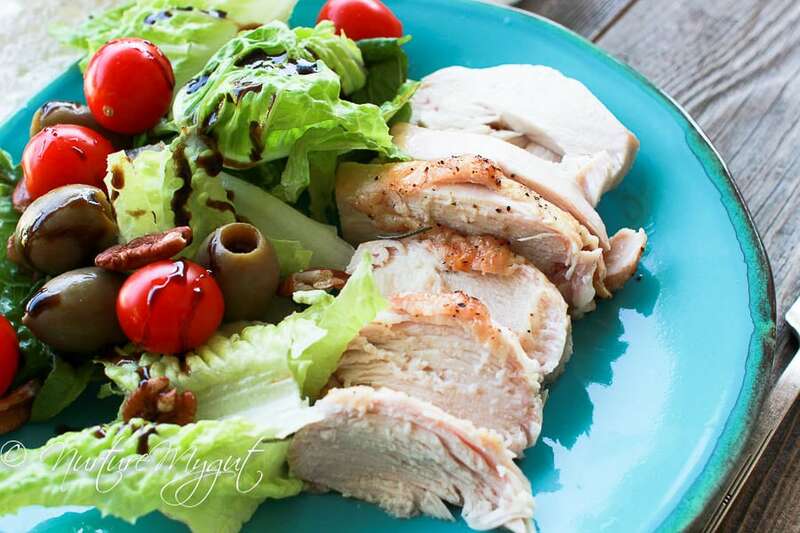 All you have to do is drizzle some olive oil over your chicken and rub all over. Then, sprinkle paprika, salt and pepper and rub throughout again. Then top off with rosemary leaves. Place on a baking sheet lined with a rack in a pre-heated oven and bake at 425 degrees for 40-50 minutes. 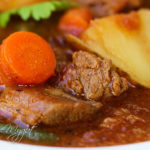 You can also use the thermometer method to make sure it is fully cooked. 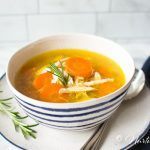 What you do is insert an instant-read thermometer into the thickest part of the breast and once it reads 165 degrees fahrenheit and juices run clear, it is ready! 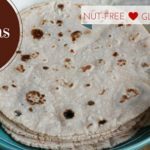 You can see in the photos below how I am able to use all the space in my oven and save time by using these bakers half sheets. 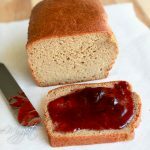 I used to bake with the tiny quarter sheets and be stuck in the kitchen baking several batches of food. I finally solved this problem by using these huge baking sheets and now cook multiple things at once. I am much more efficient with my time in the kitchen! For a family of four, this Easy Roasted Rosemary Chicken goes a long way. I like to slice it and serve it alongside a simple salad drizzled with a good quality balsamic vinegar and Fantastic Roasted Vegetables. My favorite balsamic vinegar is Unicorn Tears by Olimila which is an 18 year old thick, sweet and tangy blend of fig balsamic with blood orange infused olive oil. Now let me tell you that Olimila was sold to Nuvo Olive Oil and you can get the same quality of balsamics, just under a different name. I would recommend their Fig Balsamic or Raspberry Balsamic Vinegar which is aged for 12 years, a great starter option and more affordable. Since these are so rich, you only need a teaspoon or two per meal so your bottle will last for several months! Another meal that I like to create with left over chicken are chicken tacos. These are perfect for Taco Tuesday! 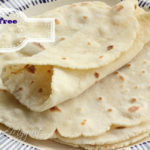 I will use either my homemade gluten free tortillas or Paleo Tortilla’s 2.0. 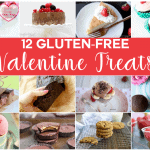 They are grain free, dairy free and paleo friendly. 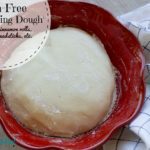 I suggest making the dough the night before, putting it in a ziplock bag in the fridge and taking the dough out to return to room temperature in the morning. That way, it will only take 20 minutes or less to get dinner ready. I top my tortilla with shredded chicken, lettuce, avocado slices and dairy free sour cream. 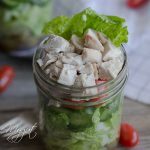 Want more efficient recipes for Meal Planning recipes? 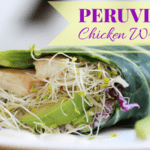 My friend Louise has quick & easy Paleo Meal Plans that have minimal ingredients, taste great and are 100% Paleo Friendly. 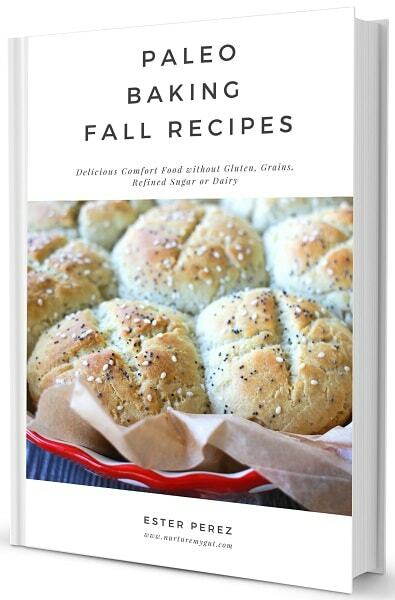 Plus she includes family friendly recipes too! 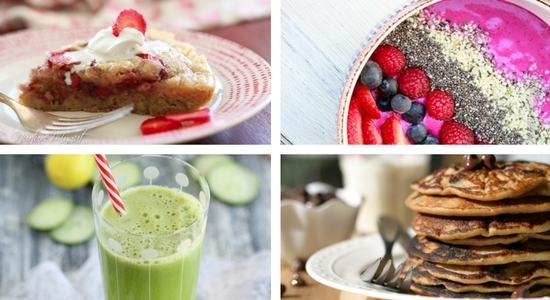 Check out her Paleo Meal Plans HERE. 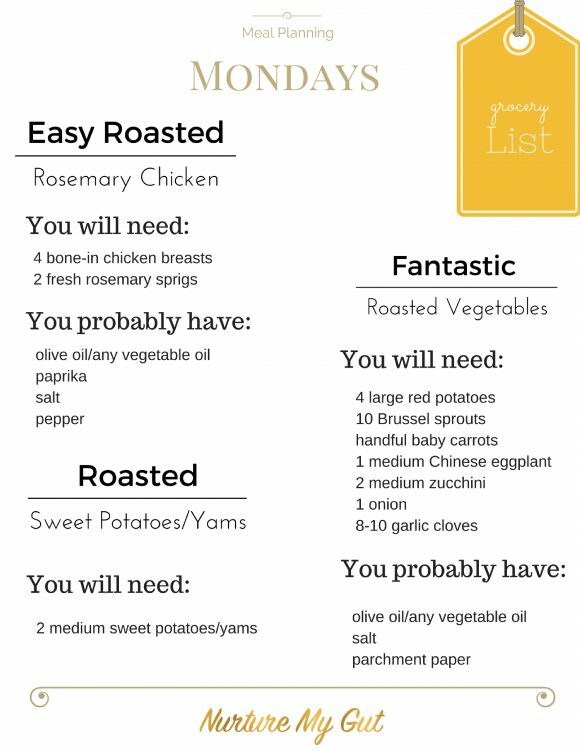 This Easy Roasted Rosemary Chicken Breast is one of my favorite meals to prepare for Meal Planning Monday’s. 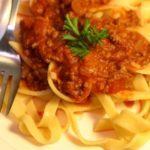 With school back into the swing of things and homework smuggling my time away from the kitchen, I opt for easy and efficient meals. 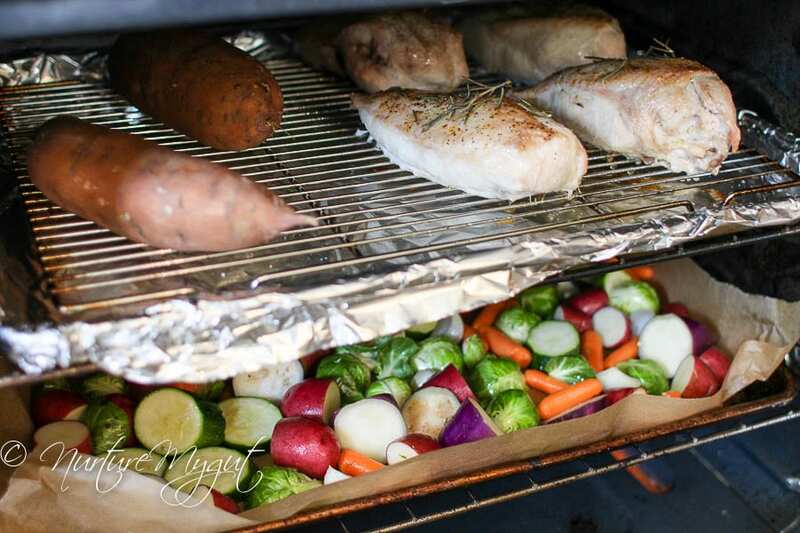 Place chicken breasts on a cookie sheet topped with a rack. 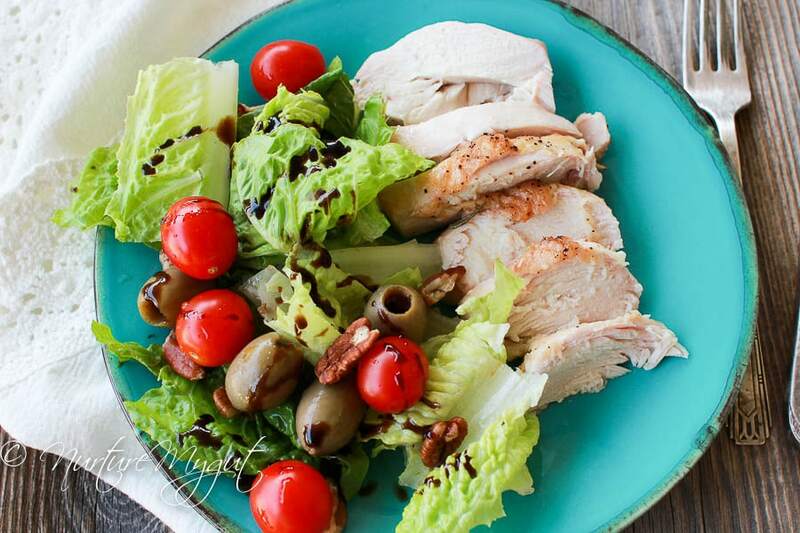 Drizzle chicken breast with olive oil. Rub the tops and bottoms with oil. Sprinkle some paprika, salt and pepper over the chicken. Rub mixture into the chicken with your hands over the tops and bottom. Sprinkle rosemary leaves over the top of the chicken. 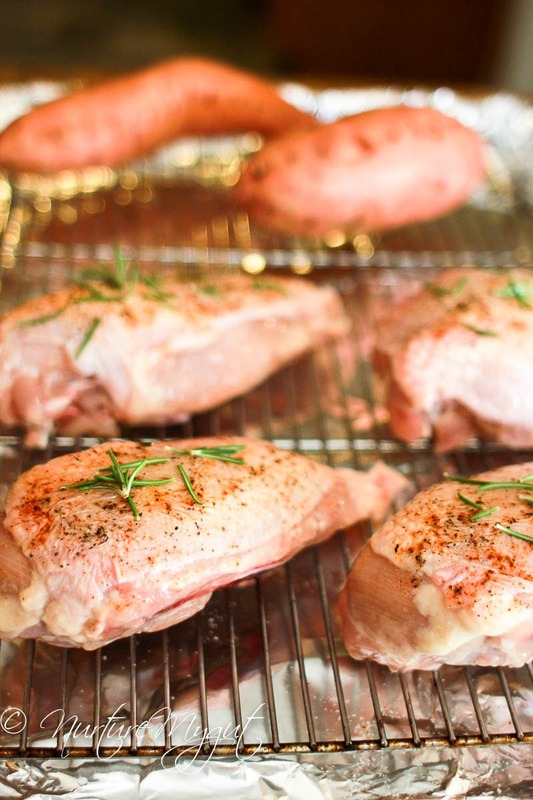 Place chicken into your pre-heated oven for 40-50 minutes and bake until chicken is no longer pink in the thickest part of the breast. You can also insert a thermometer in the thickest part of the breast and it is fully cooked once it reaches 165 degrees fahrenheit. Please note that nutritional information below is based on 4 servings. 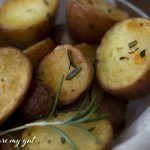 Click here for a PRINTABLE GROCERY SHOPPING LIST WITH RECIPES for Easy Roasted Rosemary Chicken, Roasted Sweet Potatoes/Yams and Fantastic Roasted Vegetables.